Beep Card is leveling-up the game by partnering with Robinsons Movieworld. 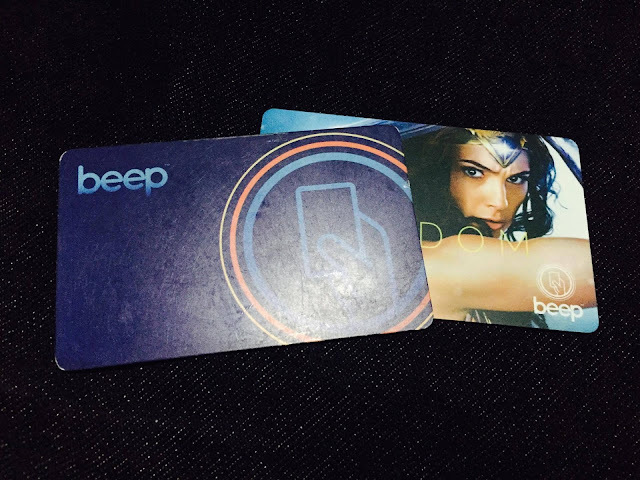 Movie addicts can now use their Beep Card to pay for their movie tickets which is available in Robinsons Movieworld Galleria in Ortigas, Robinsons Manila, Robinsons Magnolia, Robinsons Metro East and Robinsons Forum. This is a fast and easy cashless transaction for movie goers. Senior Citizens and those with PWD ID are also entitled to get discounts. Simply show ID upon getting movie tickets. “Since we launched in 2015, the beep card has taken you places by train and bus, and even got you through toll ways and convenience stores. we’e thrilled to partner with Robinsons Movieworld, and offer new experiences to beep cardholders,” said Peter Maher, President and CEO of AF Payments Inc.
“It is our company’s thrust to continuously develop ways to cater to our public’s ever changing needs. Having made our tickets the most available online to date, we are now gearing towards relevantly expanding our payment acceptance system, and we are happy to be the first to do this with Beep and its cardholders,” said Arlene Magtibay, Robinsons Land Corporation SVP and Business Unit General Manager. And to celebrate the partnership, beep and Robinsons Movieworld will be rewarding patrons with P100 extra load for every purchase of two (2) Justice League Part One movie tickets using beep in the participating branches from November 7 to 26. Free load redemption is valid on two consecutive weekends, November 17 to 19 and November 24 to 26. Card holders will simply have to present the beep card they used to purchase their Justice League Part One movie tickets to the personnel at the beep booth (found in theatre lobbies) and they will get P100 free load in their card.